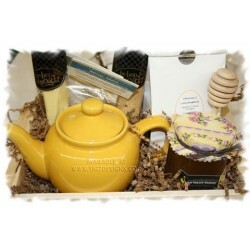 Afternoon Tea Gift Basket makes a lovely gift for any occasion. *We usually have several colors of the Hampton Teapot to choose from. We will attach ribbons and Bow to suit the season or occasion.